This weekend my company Eat Drink Tell Your Friends along with several other puppet groups are performing at the b-eaut-iful St. Ann's Warehouse in Dumbo, Brooklyn. My bags are packed and I am ready to be shot 30,000 feet into the air until I land in Oslo, Norway with the rest of the cast and crew from Wakka Wakka's Made in China. We are playing two festivals this go around. Starting off in Oslo as part of the first ever Go Figure Festival. June 8th and 9th we will be at the Oslo Nye Trikkestallen performing with the ever-excellent MiN Ensemblet. Buy tickets here! Obviously you CAN buy them if you don't live in Oslo, but it isn't recommended, but it is encouraged, but not enthusiastically, but still you can if you'd like (I can mock up some cardboard cut-out friends to take your spot). After that we zip down to Porsgrunn for their International Theater Festival. It's a really rad festival that I had the opportunity to play at several years ago. The porcelain capital of Norway! Made in China will be bringing down whatever house it is we are playing on the 12th, 13th, and 14th. Pick up yr tix here! 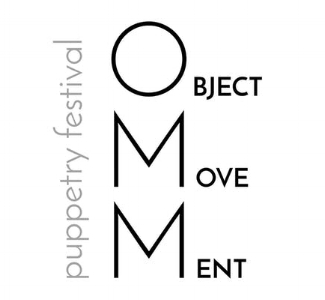 I am performing and directing in two different pieces at the first annual Object Movement Festival, which is on the corner of 86th and Amsterdam. Tickets are $15 for a full night from wacky workshops to practically full-blown pieces that all include elements of puppetry. Each program has three or more shows that vary in length, style, and tone. It's a steal. First in PROGRAM A, I am DIRECTING teacups created by the amazing Dorothy James. teacups is a puppet theater piece inspired by a Czech folktale. The Keeper is a sinister water demon who overturns boats and drowns their passengers, forcing their stolen souls into teacups which he hoards in his lair. Our story centers on a soul that manages to escape the Keeper’s possession and find its way into the hands of an unsuspecting junk collector, an amiable swamp creature who does his best to help the soul without fully understanding its identity or its situation. teacups is an exploration of depression and how it manifests itself inside those who live with it. You may be asking yourself, "Self, how can I help?" Giving to our Indiegogo Campaign will help make teacups happen, and make it even better! There are some pretty sweet rewards, including puppetry lessons and pie. When chaos strikes, one ant embarks on a mission to investigate a menacing colony of humans. Based on interviews conducted on a cross-country train trip, Antrak uses documentary footage, live feed projections, handmade miniatures, crankie machines, and giant cardboard objects to explore humanity through an ant-sized lens. You can also see shows by more amazing artists: Andrea Ang, Sam Jay Gold, Kate Brehm, Little Did Productions, and Leah Ogawa & Sarah Plotkin!